§ 908. Prohibited offensive weapons. (a) Offense defined. –A person commits a misdemeanor of the first degree if, except as authorized by law, he makes repairs, sells, or otherwise deals in, uses, or possesses any offensive weapon…. Four years later, in Commonwealth v. Ashford, the Court state that Gatto should not be construed as setting forth a circumstances-of-the-possession test for determining whether an weapon served a common lawful purpose, saying the test had no place in determining whether there had been a violation of weapons possession code. Shortly after Ashford, in Commonwealth v. Fisher, the Supreme Court held that on a charge possessing or carrying a prohibited offensive weapon, the circumstances-of-the-possession test was inappropriate in determining whether the weapon served a common lawful purpose. In 1980, in Commonwealth v. Artis, the Pennsylvania Supreme Court reversed Mr Artis’ conviction for possession of a prohibited weapon was reversed because the trial court improperly applied the circumstances of the possession test when determining whether the knife served a common lawful purpose. The knife was a folding knife, which Mr. Artis testified he purchased at a sporting goods store, to use for hunting and fishing. Therefore, it did not matter under what circumstances he possessed it, as it had a common lawful purpose. More recently, in 1996, in the case of Commonwealth v. Karlson, the Court concluded that Mr. Karlson did not violate the prohibited offensive weapon statute when he sold four “Cobra” knives to an undercover police officer. The Court held that in order to convict Mr. Karlson, the state was required to offer evidence that the knives served no common lawful purpose. 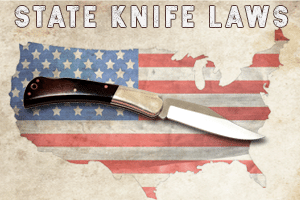 It said that unless they were specifically outlawed, knives were not objects of a criminal nature that were prohibited under the prohibited weapons statute. Conversely, in 2007, in Commonwealth v. Alvarez, Mr. Alvarez’s possession of a two and a half foot long medieval-type battle-axe with a blade that was almost 10-inches long was held to be within the definition of a weapon that did not have a common lawful purpose. 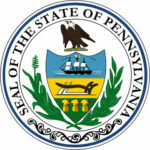 It is legal to open or conceal carry any type of knife in Pennsylvania other than those which fall into the category of “prohibited offensive weapon”. I am so relieved I can carry my machete…or my ax…when I leave the house. And that I can keep my son and myself safe. I will save this to my homepage for quick reference. Can I carry a non folding karambit? Is it legal for a 16 year old to carry the LowVz NCO BLADE from Colonel Blades? I want to start carrying a hatchet on a belt because i am moving to a rural area and need it on hand for cutting firewood and the like would i get in trouble for going into town with a hatchet attached to me? I was thinking full axe but as someone listed above apparently someone got in trouble for that. I just got a Timber Rattler Scarab Giant Pocket Knife. It has an 8 inch blade. The knife is 9 inches when closed, and 17 inches total when opened. Even though it is technically a “pocket” knife which, despite it’s rare size, can still fit in certain pockets, are there any blade length laws in Pennsylvania that would prohibit you from carrying this particular unique pocket knife? Thanks for the question. Just to be clear, I’m not a lawyer and I’m not allowed to give you “offiial” info which can only come from a legal professional in Pennsylvania, or a Police officer. To give you my take on your issue, I know that Police look at the issue of intent. If the implement in question appears to have no legal use other than to hurt people (throwing stars and brass knuckles) then it is not legal to carry them. Other knives fit the definition of deadly weapon (ballistic knives, daggers, etc.) would not be legal to carry. Exactly where the Timber Rattler fits is a question to be answered by local police authorities. To be safe, I wouldn’t carry it around, and if I need to use it on special occasions (wilderness camping, etc.) I would bring it on those occasions where you could make an argument to the authorities that you’ll need it in the backcountry. Those are just my thoughts. Can I carry my korambit folder in PA and NJ? What about Machetes? Are they legal to own or carry in PA? As always, I’m not a lawyer so you should only take legal counsel from a Pennsylvania attorney. However, I couldn’t find anything that says machetes are illegal to own or carry. Only automatic opening knives, daggers and any sharp instrument which is made specifically to cause harm to someone (especially in a stealthfully sneaky way). That said, if you walk around with a machete on your belt in an area you would not ever normally need one (like a doctor’s office or grocery store), don’t be surprised if you are confronted by the authorities. I carry a 13 inch hunting knife I live outside of pittsburgh.what I I had to perform self defense how should I go about it so that I don’t get arrested in a situation where I need to protect my life and my family?? Please note that I’m not a lawyer so don’t take my word for it. You’d have to ask a Pennsylvania attorney. However, as a friend, I can tell you that IF you or your family is in actual danger from someone who is obviously looking to harm/kill you, you would ultimately be justified in a court of law for using any implement (kitchen knife, machete, hockey stick or tennis racket) to disable your assailant. I talked to a friend of mine who is a police officer up in Canada about a situation like this many years ago, and he informed me that EVEN if a Canadian citizen used a handgun (which is 100% illegal to carry in all situations in every province) to kill an attacker in their home, the public outcry demanding justice (not simply compliance to the law), would be so great, that the shooter would not be charged with murder or charged for illegal possession of a firearm. U.S. laws are WAY more relaxed, permissive and lenient than Canadian laws, so in my humble opinion (as a friend, not a lawyer), I’d say you’re good! No worries! I know it states that it is legal to “own” a Bowie Knife, but what about as far as conceal/open carry goes? I do a lot of hiking so for example, if I go on a hiking trail in the woods, am I allowed to Conceal/Open carry a Bowie Knife? Can I Conceal/Open carry one in the city? Being even more specific, am I allowed to have it in my car or glove compartment on the way to the hiking destination? I just want to be sure on what locations, if any, are legal to carry one. The law states that it is illegal to carry a cane sword. What does the law say about other types of swords. I am a practitioner of martial arts. What does the law say if I’m stopped for a traffic violation and have a katana laying on the backseat of my car? I do have a Firearms carry permit if that makes any difference. I am looking to make a costume and use some knifes as part of it. I found this and I am wondering if it is considered a dagger, or having it on and walking around is considered illegal, although it is in the open. If not, is there anyone who has an idea on how to remove the blade. About removing the blade. You may be able to drill out the pivot point and remove blade. But how about just dulling the blade and pointy bits? Use a grinder files and sand paper to round over the edges and point. Conversation with at State Cop. There is nothing stating double edge of anything. Daggers are completely legal, so long as you are not using them for Illegal purposes. Generally though, if it is federal legal, it’s PA legal. This sums it up to Automatic Knives (switchblade), Gravity Knives, and Ballistic Knives. what kind of offense is this if you’re caught carrying an automatic knife with only like a 2.5 inch blade. I was considering purchasing the Smith & Wesson extreme ops automatic somethin. I just feel that an automatic would be the best way to go for me incase I’m ever put in a situation where I need to defend myself. What about those Wild Kat keychains? Probably a dumb question but there’s a lot of law jargon and circle talk with court talk, I love in Philly and work as an overnight security guard can I carry a boot knife so I’m not totally unarmed? As far as PA goes, yes, assuming that it is not a dagger (double edge). However, I believe that Philadelphia does have local laws that prohibit the carry of knives in public unless they are required for your trade. So it sounds like you might be out of luck for knives. It’s important to remember in PA that there are State laws and municipal laws. I live close to the line of Franklin County and Cumberland County and knives that are perfectly legal in Franklin are NOT legal for carry in Cumberland. I can carry a Kershaw assisted opening knife in some areas but in other areas get arrested by local cops for it. I read about folks being arrested all the time over small Kershaws and similar knives. To be safe in PA in general, keep the blade 3″ or smaller and don’t carry assisted opening knives. Does this mean karambits are legal to conceal? W.R.Case & Sons Cutlery knives are made in Bradford, Pa. The knife pictured is a Case Bose Cattle Knife. All of the above are completely legal to own as a collector, they just cannot be carried. Collecting these edged odjects are a “common lawful purpose”. As a LEO, first responder or military personnel (on duty for military), you can carry an auto knife. Daggers are sold all over PA, and I did confirm with the CLEO here in Berks county, that they are perfectly legal to own. Just don’t get caught carrying any of them, regardless of whether you have a LTCF or not. Philly is the ONLY place in PA where it is illegal to carry any knife. Ok one question are karambits legal to own? And ia it legal to conceal/carry one in public? If I owned a business, an sold autos would it be a crime? I know you can get autos disassembled (knife separate) . but once put together in PA ,then its illegal correct? Autos are perfectly legal to sell and own in PA(Collectors), but you cannot carry them, unless you are a LEO or a first responder. Military personnel are also exempt when on duty. Same goes for daggers/dirks. I’m in possession of one, is it nescessary to have a Collectorslicense for it? Stiletto is an automatic knife. You press a button and it opens (via the spring). So yes stilettos are illegal in PA to own, carry!, or use. The word automatic was actually specifically added to cover stilettos. I have a manually-opening stiletto by Kissing Crane. It’s not automatic, or even assisted-opening. In fact, it’s rather slow & awkward to open. A stiletto is merely a long, slender blade. As Ted said… They make auto and manual Stilletto’s. So to clarify… Any knife that you press a button and the knife opens on its own without further human intervention…is illegal in PA.
no spring assist are not illegal. As much as I read about gun laws (especially prior to travel), I never really considered restrictive knife legislation. My wife and I are both “Preppers”. We keep a Get Home Bag in our vehicles at all times. Part of these survival kits are saw-back machetes. I don’t see them addressed here. So, if I get pulled over in Scranton, PA, will the cops say that I have no need for a machete because I’m not in the jungle? Scary! Funny trivia: I have a friend in Denmark, and they have very strict laws about weapons, including pocketknives. However, battle axes are completely unrestricted because there’s no way to legally define the difference between a battle axe and a wood-cutting axe. Lawful and legislate not the same. Common law vs statute/maritime law. Can you show me where it says the bit about having a concealed carry allowing you to carry other offensive weapons. I am interested. (b)(3) This section shall not apply to any person who makes, repairs, sells or otherwise deals in, uses or possesses any firearm for purposes not prohibited by the laws of this Commonwealth. “[O]therwise deals in, uses or possesses any firearm” is an incredibly wide-open clause, but like I said in the first post, I’m unaware of anyone testing it in court. As the law is currently written, simply possessing a legal firearm renders you exempt from the restrictions on offensive weapons (except for grenades, bombs, and incendiary devices, as the ban on those is pretty well set in stone). It LOOKS like the intention is to allow concealed firearm permit holders to carry other weapons (especially blackjacks, tasers, and other less lethal implements), but that’s just speculation. As it’s written, simply possessing a firearm should get you off the hook. You just need a really good lawyer to set that precedent. I am an attorney, and I saw the same thing…. I have never in 22 years ever seen someone arrested for an auto… and have never seen someone with a permit charged…. but the law does have the exception….. Does this mean I can’t open carry my 4inch blade Howie. Any “hunting knife” can be carried openly or concealed. what in pennsylvania is considered a hunting knife. i have a blade that i carry that i did use for huting. it has a deer antler handle. it has not been used for huting purposes in a long time. would this be considered a hunting knife? Thank you for this comment, I’ve been carrying around a brass knuckle knife for a good year now. Glad no one has tried me, because I don’t need that kind of trouble with the law for using that. Does that mean its illegal to carry around my katana …..cause I do.??? How does the PA law define a dagger? Is it a knife with both edges fully sharpened? You are allowed to own any knife at all. If you carry a switch blade and it is the only one that you own, you are in big trouble. If you have 20 of them in various types and would rather chew the throat out of an attacker than desecrate the knife with blood or a sharpening, you are safe. Knife collecting is a great hobby. You may carry a knife that is considered ‘assisted’, not an automatic. Considering how strong a folder has to be, I wouldn’t want to carry a switch blade. My Twitch is great for me. Be careful of blade size. That can get you in trouble. can i carry a ka bar 7 in blade in a sheath on my belt ? intent or likelihood that the would be used unlawfully. It is illegal to open or conceal carry any knife in Philadelphia, PA unless it pertains to your occupation and only used while you’re on a job that needs a knife. Doctor…need my CRKT M-16 in case I need to cracl a chest…or do emergency trach. It’s important to remember that Philly has its own ordinance on knives which pretty much outlaws carrying one unless you need it for work. Philadelphia Code §10-820. Cutting Weapons in Public Places. Cutting Weapon. Any knife or other cutting instrument which can be used as a weapon that has a cutting edge similar to that of a knife. No tool or instrument commonly or ordinarily used in a trade, profession or calling shall be considered a cutting weapon while actually being used in the active exercise of that trade, profession or calling. (2)	Prohibited Conduct. No person shall use or possess any cutting weapon upon the public streets or upon any public property at any time. (3)	Penalty. The penalty for violation of this section shall be a fine of not less than three hundred (300) dollars and imprisonment of not less than ninety days. Lawful purpose…self protection is an God given right. It is lawful. God doesn’t make the rules. Man does. I’m forever suspicious of anyone who tells me anything is a product of their god. I’m suspicious of anyone that doesn’t carry a knife! So your saying that there is no right to protect your life if I a man says so. When I see you in the streets you better be on your knees face down in the dirt when I a man walks by. How do you like the laws of man know, Suspicious Servent?? History never teaches the ignorant anything. Most recently in Commonwealth-v-Aultman 6049-2011, the District Attorney of Delaware County withdrew the charge of P.O.W. under Pennsylvania Law and RETURNED the 13″ knife to Mr. Aultman. It seems that the 13″ hunting knife Mr. Aultman was carrying in the sheath was completely LEGAL.